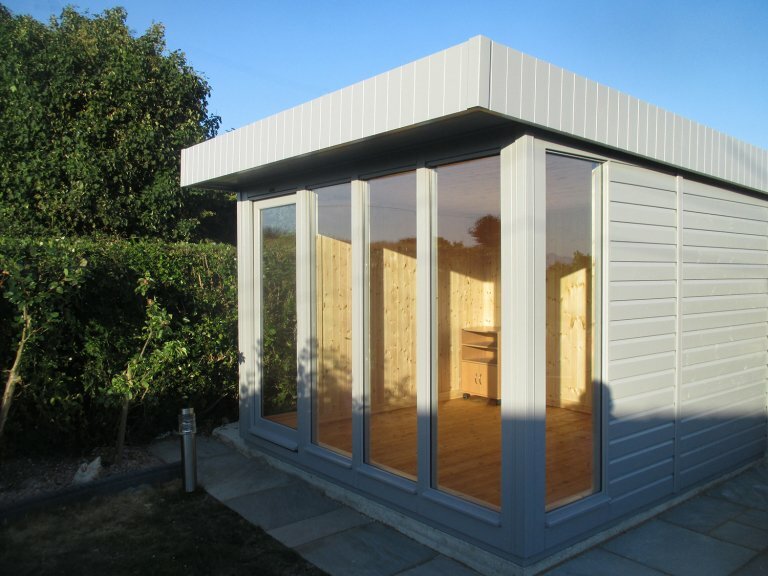 A customer recently selected one of our Salthouse Studios from our range of Garden Studios. Entirely fabricated from FSC® certified timber, the studio was expertly designed and crafted at our Norfolk factory before being delivered and installed by our in-house fitting team. 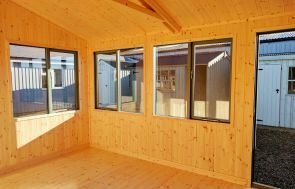 Internally, the studio boasts natural matchboard and full insulation with an electrical pack and heater. This allows the building to be used and enjoyed all year-round and offers a huge variety of ways in which it can be used such as a work-from-home-office, home gym or artists studio. It measures 4.2 x 4.2m and has six fully-glazed fixed windows with two opening fanlight windows at the rear of the building. In order to browse our range of stunning timber buildings, we suggest that you pay us a visit at your nearest show centre, which can be located here. At our centres you can expect to view up to 25 different display buildings and speak to a team of friendly advisors. Alternatively, you can get in touch with us to discuss your requirements with an expert.